Is some good performances and a lot of technical finesse enough to make a good movie? I don't think it is - for a movie that falls into the 'reality' genre. The content needs a lot more depth than this one had. Also, I just didn't understand the purpose of the movie. Was it to tell people how bombs are made or to tell terrorists not to terrorise? I think such movies receive more attention than they deserve due to the controversy they create. Black Friday is a very well made movie; the technical aspects are par excellence and live up to the expectations of the genre. The acting is at its best, the background music is very well used, and the locations and sets seem as real as they could be. But the narration style is not gripping at all. This movie is being advertised as a movie about 'the truth'. So there's the usual gore, the regular torture in prison cells, the typical yelling and pleading associated with a crime, and the investigation thereof. The strange thing is that not a single cop was bribed during the inquiry and you don't see one politician through the movie. Was it really so easy for the police to get all the information about this act of terrorism as is portrayed in the movie? And by the way, if this movie is 'the truth', all our other movies that show greedy police officers and politicians and claim to be fictitious, etc - they are actually telling the truth! These dishonest people in the bureaucracy are a figment of imagination! The movie is not about one police officer, one terrorist or one victim. It is about the bomb blasts. It is a dispassionate, non-judgmental account. It is like reading a newspaper, gives you the details of the way things supposedly happened. Of course, the visuals and language are much more graphic than a few pictures in print. Kay Kay Menon (Additional Police Commissioner), Pawan Malhotra (Tiger Menon) and Aditya Shrivastav (Badshah) do full justice to their roles. But the characters (except Badshah) are not sketched out very well and the non-linear presentation does not help. In fact it adds to the confusion of the long list of names and the inter-connections. Also, what exactly is the aim here? Is it to tell the world, "this is how ammunition is smuggled into India, this is how terrorists were trained, and this is how it was planted"? There is nothing shocking about the answers to any of these questions. Obviously, if there were bomb blasts, someone-somewhere got the raw material and organized the whole operation. Is the aim, then, to tell both the Hindu and Muslim fascists how this is not what God wants? If it was so easy to convince the fundamentalists, then wouldn't half the problems in the world be over by now? And I surely hope the aim is not to tell Tiger Menon and Dawood Ibrahim, "We know what you did thirteen years ago?" By the way, in the middle of all this, was I supposed to feel bad for the terrorist? No, I certainly don't expect every movie to have a list of aims and objectives. But, for a serious movie of this caliber, a much clearer purpose is needed. Especially when the previews have bold, red letters on a black background that read "the 'real' contender for the Oscars", a little more than a documentary is expected. Unless, of course, you are hoping for a nomination in the "documentary" category. 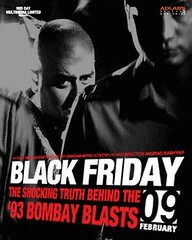 As the review mentions, the movie is not about one or two people, it is about the 1993 bomb blasts in Bombay. It narrates how Tiger Menon (Pawan Malhotra) supposedly organized the serial blasts. How he trained the actual operators and how he treated them after the job was done. It also tells you how the police got hold of key information. The sound effects in combination with silence is used uniquely both in creating tension before the first blast and in adding to the shock value after the blast. The one chase scene in a Mumbai slum is shot with finesse. Acting of the few women in the movie - looked like no attention has been paid to them at all. This one just stood out - During the only chase sequence, there is one scene in an underground passage on one of Bombay's railway stations. It was absolutely empty in broad daylight! Thanks for the feedback, Morph. Or maybe, to me, Traffic Signal seems more real because I have spent a little more time in the slums that are portrayed there than with the Dawood Ibrahims of the world. Honestly there is no comparison between Black Friday and Traffic Signal . I Guess its obvious From the 20 Odd reviews that you Have Posted . 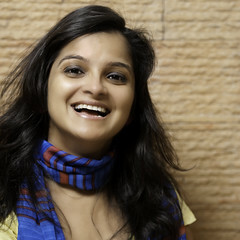 You Are the only One I know Off Who Doesnt Like the Movie :) and Deepa Gehlot ! Who says This Movie Glorifies Gangsters ! Surprisingly She Said the Same thing about Omkara. Hi Venkatesh, you are right, that this is the easiest way to reach a mass audience. I guess, I have to take it with the same pinch of salt as I would take any newspaper report. The movie is not only non-linear, it is also backward. Because of this, least importance was given to the Babri Masjid riots. Which is one of my main complaints. Dear blackfridayfan, I certainly noticed that I am one of the very few who did not like it! I am sure you too can think of one movie that almost the whole world liked but you did not. I would love to know which one that is. Actually, technically i thought the movie was alright. Its the missing points that bothered me and bother me even now when I think about the movie. How could it have given undue attention to Bal Thackeray or Tagodia if it did not give undue attention to Tiger Menon and Badshah? Unfortunately, since I did not like the movie. And most people who have read the book, say the movie is a fair representation of the book, I am not motivated to read the book. About the spelling, I thought so too. That's why I checked before writing it. Only got confused because many newspapers have spelled his name Menon, including Mid-Day. Besides, that is what I thought it sounded like in the movie, so I went with Menon. I think it would have been better at being non-judgmental if it had shown a little more about the motivations behind Babri Masjid, BJP formation, et al. I, for one, did not have a problem with it being non-judgmental. Non-judgmental is good. I am all with you about asking 'WHY'. Why did the terrorists do what they did? Why did Babri Masjid happen? Who is going to answer that one? I don't think this series of whys will go back to 1947. I am inclined to think that it will go as far as political motivations behind Babri Masjid. Thanks for stopping by and putting your thoughts down. Avik has posted 1 comments and has rated 0 movies. See Avik's page for more details. Yeah, I got clobbered big time on this one. But, what I not like, I not like. I admire Anurag's guts but this one lost me on its intent. Somehow, the story of a terrorist did not interest me or maybe was not told in a captivating manner.